The Quicken Trust (a Christian Charity - www.quickentrust.com) was founded by Geoff and Geraldine Booker in 1996 to tackle poverty and education in Kabubbu, Uganda. The club has been associated with the Trust since 2001, has helped educate some of its pupils through funding educational programmes and in 2004 raised funds through a Rotary Global Grant to build teaching accommodation in Kabubbu. This educational development has been close to the RC of the Pantiles heart since our first acquaintance with Geoff and Geraldine all those years ago and their enthusiasm and energy to succeed is overwhelming. The development programme now has approx. 600 pupils in its high school and 500 pupils in its lower school, education students to ‘A’ level standard, and has recently opened a health centre. Geoff and Geraldine came to talk to the club in March 2015, to update us on developments of their educational programme and mentioned projects that they were looking for support for and the club subsequently agreed to raise funds for a Bus to enable the Trust to widen their field of catchment for children of other surrounding villages to have the opportunity of an education with them. Geoff Booker visited us again in August 2015 to inform us of the type of bus required and gave us another general update on Quicken. The club also agreed to fund the project from its general fund-raising activities and for the Quicken Trust to be the main beneficial charity of the Golf Day that was held on 30th June 2016. The Quicken Trust also supported the Golf Day and Geoff Booker attended with various material on show and answered questions on the day. In September, 2017 we reached a point where we had raised sufficient funds to enable us to submit a Global Grant to The Rotary Foundation (TRF) to potentially obtain matching funding (from TRF together with funding from the Districts of the supporting clubs included the application) to enable us to purchase the bus, providing the grant gets approval from all mentioned in the involvement of it and then from the TRF funding council. We do hope this project will come to fruition very soon. 7. Other events, competitions and visits as required to enhance the education and skills of the pupils. 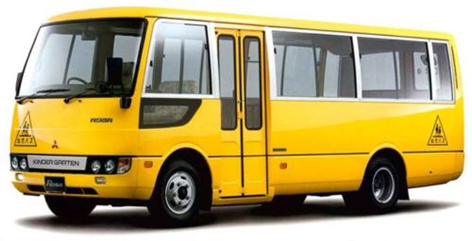 There are many trips involved in the multiplicity of events that the pupils attend outside of Kabubbu and which require a good standard of regularly serviced, maintained and insured transport. Both schools must engage in costly hire of suitable buses to transport their pupils to attend these events. A school’s bus will also enable both schools to engage in picking up pupils from further afield which will assist in their funding processes as such pupils should be fee-paying.